Ms.Ma requested for us to create an info graph for her functions class. She had tried different software to create the infographic but didn't know which one was the best tool to use. She asked us to create an image/poster that included class material covering the topic of functions and its different forms. After meeting with Ms.Ma, we tried out different websites and looked into all of the features they offered. The most promising website we found was Piktochart. We confirmed this choice with our placement teacher before proceeding to make the infographic. We started off the project by collaborating with Ms.Ma to create a rough template of the design for the infographic. We then transferred the information onto the Piktochart website. We also browsed the site for some different templates and found the one that related most to the subject at hand and also the one that fit the right aesthetic. Screenshot of the Piktochart website that we used to create the infographic. One major problem we had was that the program would not recognize superscript text. 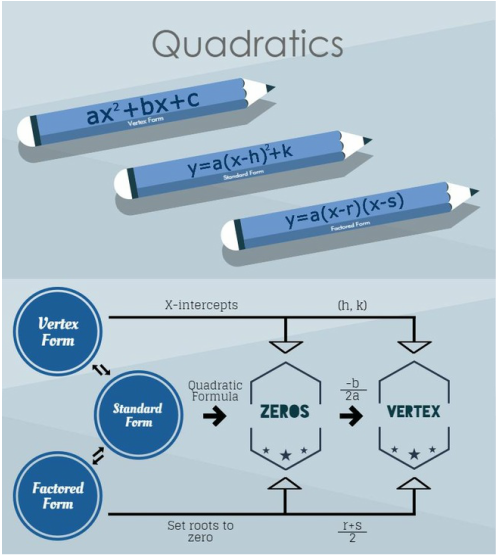 Since we were making a poster about functions, we needed to be able to show the square functions. This left us with the option of using Photoshop to create the superscript text. Then, we converted the text into a transparent PNG file and uploaded it onto the infographic. 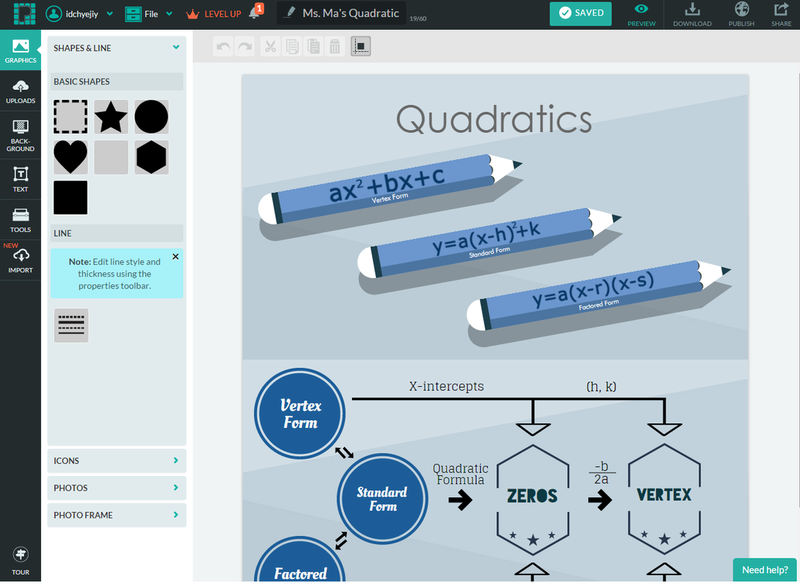 Piktochart is a very versatile tool, since it can be applied to many different classroom settings. For example, the Languages, Mathematics, the Sciences and the Arts. Specifically for English class, infographics made on Piktochart can be especially useful to make an essay template, story progression chart or even artistic interpretations of book covers.